A Walk Around Prague | how 'bout some cake? 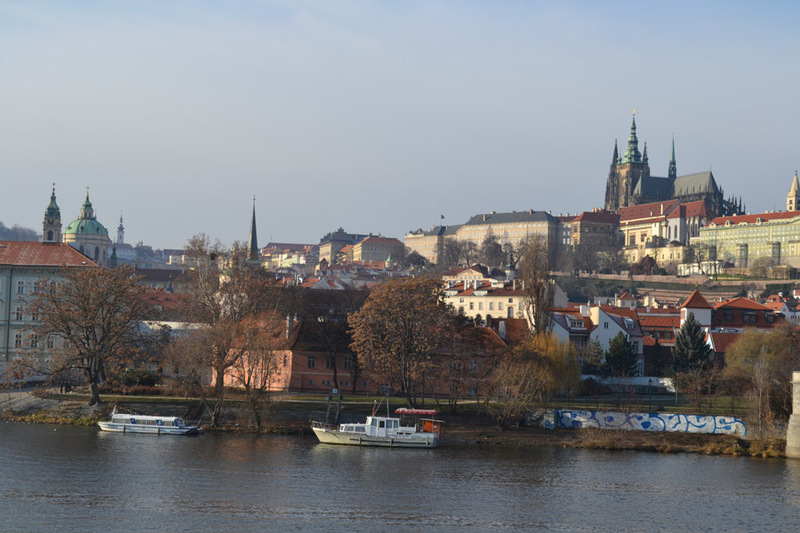 I’ve dreamed of going to Prague since 2006, when many of my study abroad cohorts were jetting off to see it on the weekends (I myself was pinching pennies together for a couple pints of beer). Since then, the years have passed, and I gradually began to accept that it just wasn’t in the cards. But I was wrong! In fact, I would get to go, and it would be “the cards” that would make it happen! A couple months ago my fiancé won a trip to play the EPT (European Poker Tour) event held there every winter. He graciously invited me to join him. I accepted with squeals of excitement. In case you’ve never heard of it, Prague is a city in the Czech Republic. In fact, I’m quite sure it’s the largest one as well as being one of Europe’s top tourist destinations. What really sets it apart from other European cities is its rich, deep history and its breathtaking architecture, which ranges from 14th century buildings right up to current day. Centuries ago, it was the seat of the Holy Roman Empire. More recently, it spent time behind the Iron Curtain. Today, it bustles with tourists and boasts an ever-improving economy. We arrived in Prague late after a 10 1/2 hour flight to London, 3 1/2 hour lay-over, and another 2 hour flight. It’s a really long trip from California, and 2 days later I’m still battling jet-lag. In fact, despite my best intentions, I didn’t even make it out of the hotel today. But I ventured out twice yesterday, and those are the photos I’m going to share with you. 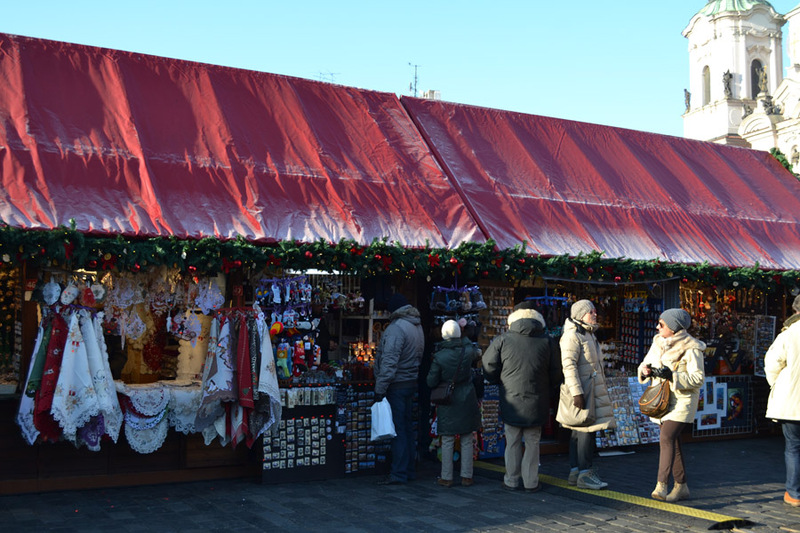 While J slept, I headed out alone in search of the Christmas Markets- an array of stalls selling everything from smoked ham and mulled wine to ornaments and other trinkets celebrating the holiday season. En route I made friends with a fellow poker wife. It was nice to have someone to spend the rest of the day with. 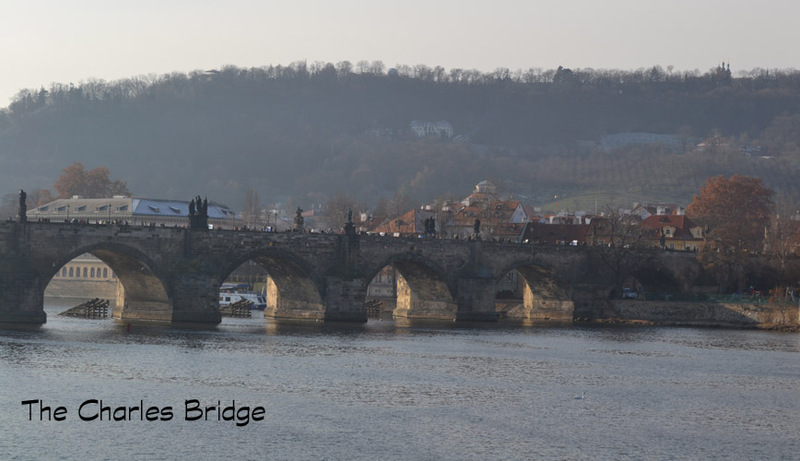 Together we explored Old Town Square (home of the famous Celestial Clock and, more importantly to us, the Christmas Markets), Wenceslas Square, and finally the beautiful Charles Bridge. We stopped twice for mulled wine to warm our bones. How have I never had it before!? It’s so festive and delicious: like the freaky lovechild of hot cider and red wine. I expect I’ll have more tomorrow. This entry was posted in Travel and tagged Europe, poker, Prague, Praha, Travel. Bookmark the permalink. 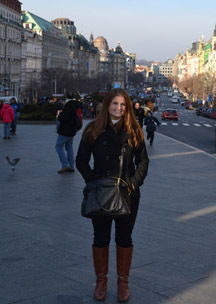 I love Prague! It’s such a beautiful city and though I’ve only been in the winter, I’ve heard it’s just as beautiful in the summer. 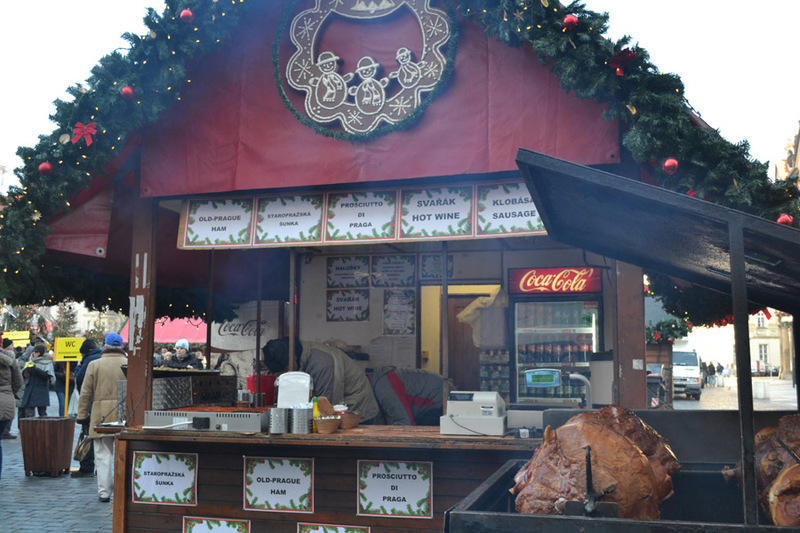 Mulled wine is wonderful, but if you get chance, try Wassail – hot ale with honey and spices – it’s delicious! They may not have it in Prague though as I think it’s a traditional English drink. I’ve heard Prague is one of the most gorgeous cities ever–I’m so sad I didn’t get a chance to go when I was in Europe, but I’m living through your gorgeous shots. Can’t wait to see more! Love your pictures! Can you believe we still haven’t made it there although we are less than 3 hrs away?!?! Wow, you definitely need to go! I’m so jealous that you live in Europe. beautiful! lucky traveler!! good luck with the jet lag. love the photos!! prague?! so jelly! xO! How amazing! I am so glad you got fulfill your dream trip! That rocks! Oh my goodness! Rachel your photos are breathtaking! I’m going to need a cup of tea and an hour to look through them and read about your trip thus far! Hope you’re having a fantastic time! I am so jealous of your jet-setter life! You sure are one lucky lady – maybe I should convince John to take up professional poker?? Obviously I’ve been behind on my reading lately so I can’t wait to read more about your trip. That’s great you found someone to explore with too…how fun! Haha, it has been fabulous traveling a lot, but that’s about to end. I start a new job tomorrow, so I’ll be San Diego-bound until I can accrue some vacation days!